We're learning that TapSnap and the gaming industry go together like Mario and Luigi. 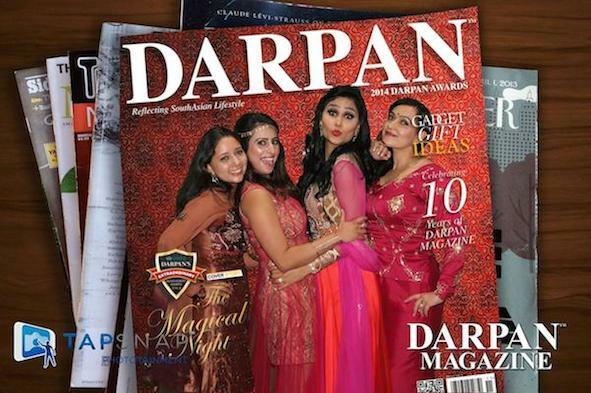 At TapSnap, we participate in a wide range of events - over 10,000 events per year! From intimate weddings with the bride, groom, and their closest friends and family, to large multi-day corporate events with hundreds, or even thousands of guests in attendance. Big or small, we've seen them all. One event type that is particularly rewarding for us, are those events that are not only fun, but that give back to an important cause. At the end of July, Tammy Lonergan of TapSnap 1188, had the pleasure of bringing the TapSnap photo booth experience to the annual Jeffrey Osborne Celebrity Classic event - a multi-day event hosted by and held at the Foxwoods Resort Casino located in Mashantucket, CT, with a focus on raising funds for non-profit organizations that provide music and the arts to children and their families, and those organizations that provide a safe-haven for families in need. We asked Tammy of TapSnap 1188 to give us the inside scoop on how the event went down. Q: Can you please share some background on the event? It may be the age of "everything digital", but there's something special about those tangible items, too! Snapping photos on your Smartphone is fun, but how often do you actually print those photos? Instead, they often sit on your computer, and eventually get deleted. While some of your coworkers are off enjoying time on a lake, or fun-filled vacations in far-off destinations, you're stuck in the office, trying to keep your team (and yourself) feeling motivated and engaged as you drudge through the long summer months, stuck behind your desks. 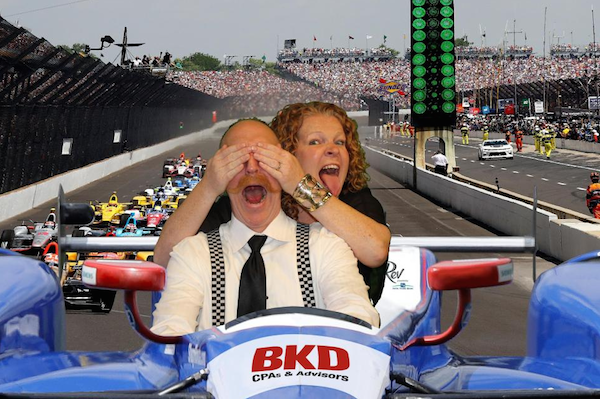 Serving Indianapolis and Marion County, Anne Wessel of TapSnap 1184 decided to think outside the box for her client's corporate event, and the personalized photo booth experience was a huge hit! Spring is here and it's time to get social! Get your team out from behind their desks, and boost their spirits with a spring mingle, or strengthen your relationships with existing and potential clients by inviting them to a social event where you can network, have fun, and talk shop in a relaxed atmosphere. For the past five years, TapSnap Vancouver has partnered with the Canucks Autism Network to provide on-site photo booths at their family events, creating a fun yet comfortable environment for families who are touched by autism and capturing the memories from the event, while driving awareness for an important initiative. "The Canucks Autism Network strives to foster awareness and understanding of autism to create more inclusive environments where individuals and families living with autism can feel understood, accepted, and supported in a range of community activities and spaces." Providing added value to their events, and working closely with their marketing team to ensure a seamless experience for both their staff, and the families who participate in their events, TapSnap creates awareness for the Canucks Autism Network through easy social sharing capabilities, customized branded elements, and unlimited photo prints that can be taken home by the event guests as special keepsakes. 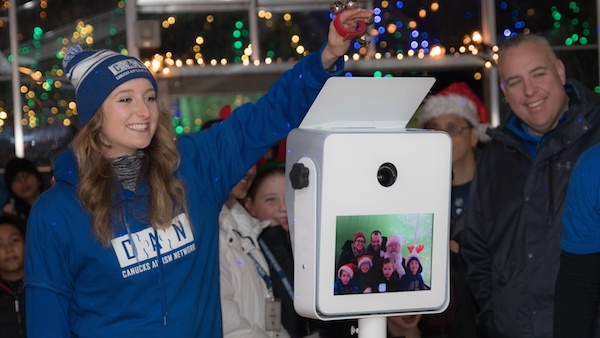 The Canucks Autism Network sees great value in partnering with TapSnap, and hopes to continue to do so for future events! If you're interested in adding an element of fun to your next charity event, invite TapSnap! Check your date and book now but clicking on the image below. The Latest Scoop is a women's fashion store that features a curated collection of pieces from all over the world. They have four locations in Vancouver and recently celebrated the opening of their new flagship store in Gastown. With the goals of sharing The Latest Scoop's culture with their customers and connecting with their neighborhood, The Latest Scoop was looking to add something to their event that would allow everyone to have a blast. 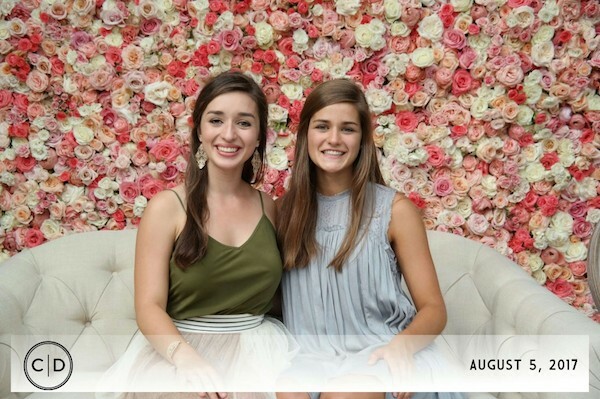 Social media manager Brooke Anthony explains that The Latest Scoop understands the importance of creating lasting memories at events and that adding a photo booth was the right choice for their event. 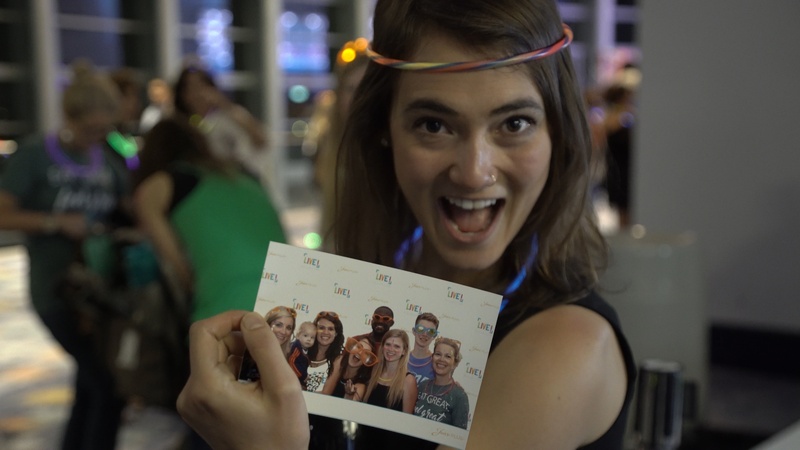 "Giving our customers and staff the opportunity to express themselves in front of the camera was not only a fun addition to our party, but also one that brought our party-goers together and created a warm and welcoming environment." 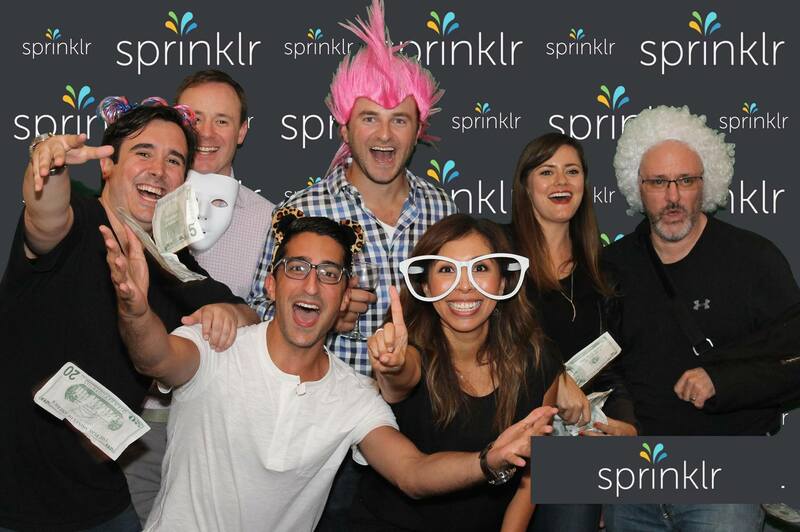 Event-goers had a blast seeing the new location and the photo booth was a hit! 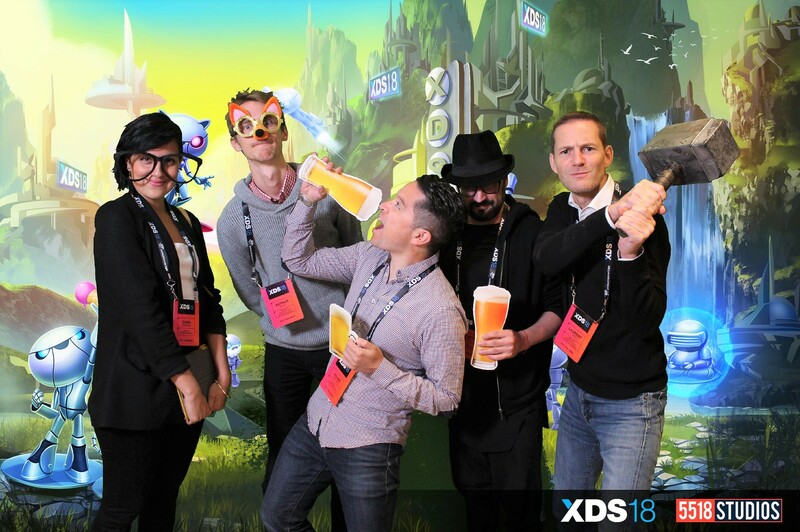 Sticking with a minimalist border containing their logo, the company’s aesthetic was carried over to the photo booth experience. Both the guests and The Latest Scoop loved the TapSnap experience! 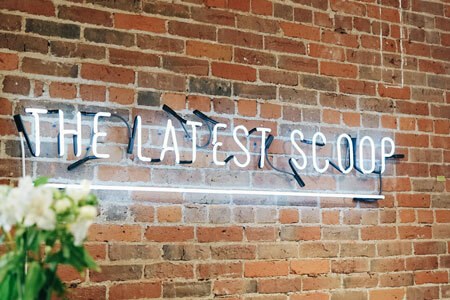 You can stop by The Latest Scoop’s new location at 305 Water Street in Vancouver or you can keep up with what they’re doing on their website or Instagram. We have also included some of our favorite photos and GIFs below! Trade show marketing is a great way to put your brand in front of your target audience through face-to-face demos and interactions. Unfortunately, trade show marketing can also be very competitive, as it's likely that many others at your trade show are offering the same product or service, and trying to appeal to the exact same audience. When most people think of photo booth rentals, they envision a group of partygoers posing with props for printable pics, and that's definitely the most popular use! But did you know that there is so much more that you can do with photo booths? Here are 5 of the cool things that you can do with a photo booth - and some of them just may surprise you!